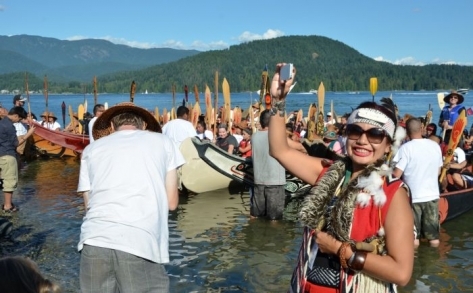 WHEY-AH-WICHEN (CATES PARK, NORTH VANCOUVER)—On September 1, a dozen First Nations canoes paddled past the the Kinder Morgan crude oil pipeline facility in Burrard Inlet. 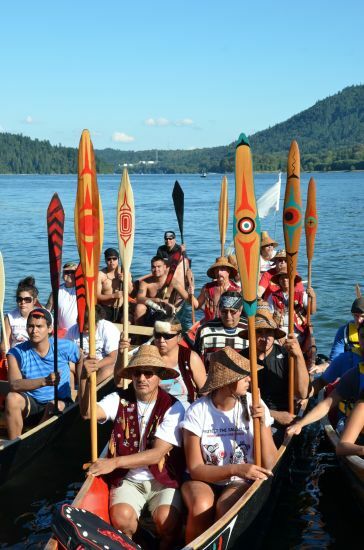 Tsleil Waututh and Squamish paddlers were joined by other First Nations from as far away as Washington State and Vancouver Island in the ceremonial trip. 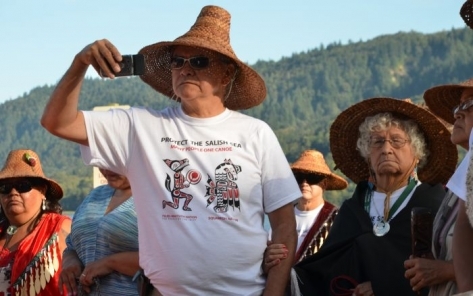 The Nations later signed a declaration to protect the Salish Sea from Kinder Morgan's proposal to double its pipeline capacity to the facility. 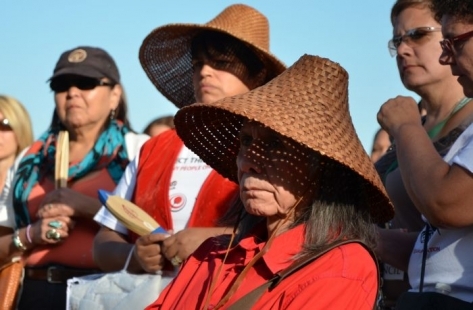 The proposed $5 billion project would push crude oil capacity to 850,000 barrels a day from the current 300,000, which would in turn stand to bring more, and bigger, tankers to Vancouver waters. 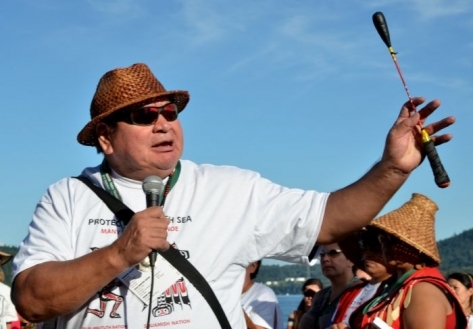 Leader after leader called for a united effort to protect the coast under the banner of "Many People—One Canoe." Waiting for welcome protocols at Whey-Ah-Wichen. 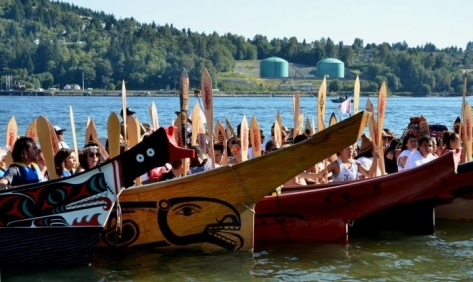 Canoes arrive at Whey-Ah-Wichen—Kinder Morgan pipeline facility in background. 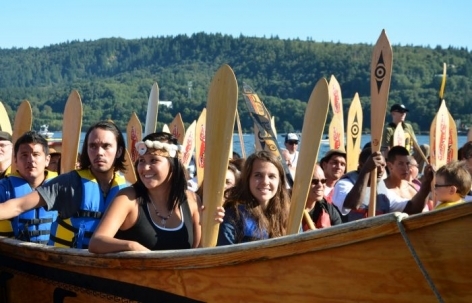 Canoes arrive at Whey-Ah-Wichen - II. 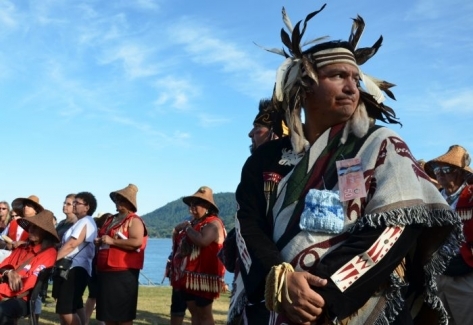 Leaders sign declaration to protect the Salish Sea. Canoes arrive at Whey-Ah-Wichen - III. 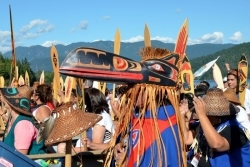 Canoes arrive at Whey-Ah-Wichen - IV. 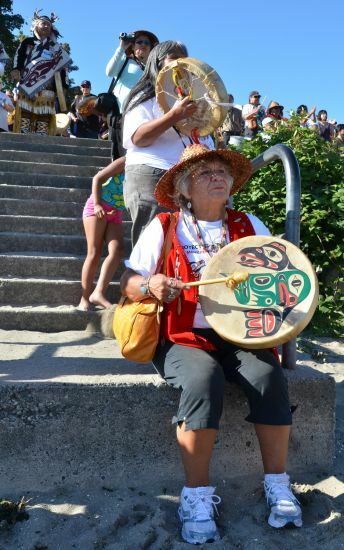 Leaders call for solidarity to protect the Salish Sea. 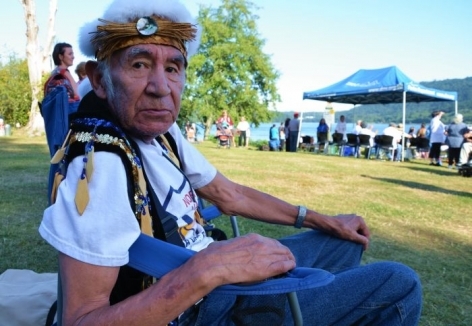 Leaders call for solidarity to protect the Salish Sea - II.